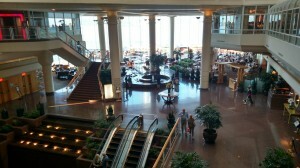 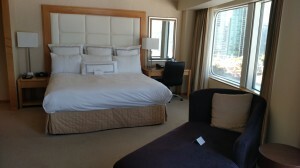 One of my favorite places for a pre or post cruise stay is the Pan Pacific Hotel at Canada Place. The lobby features lots of natural light from the windows that offer an expansive view of the bay. 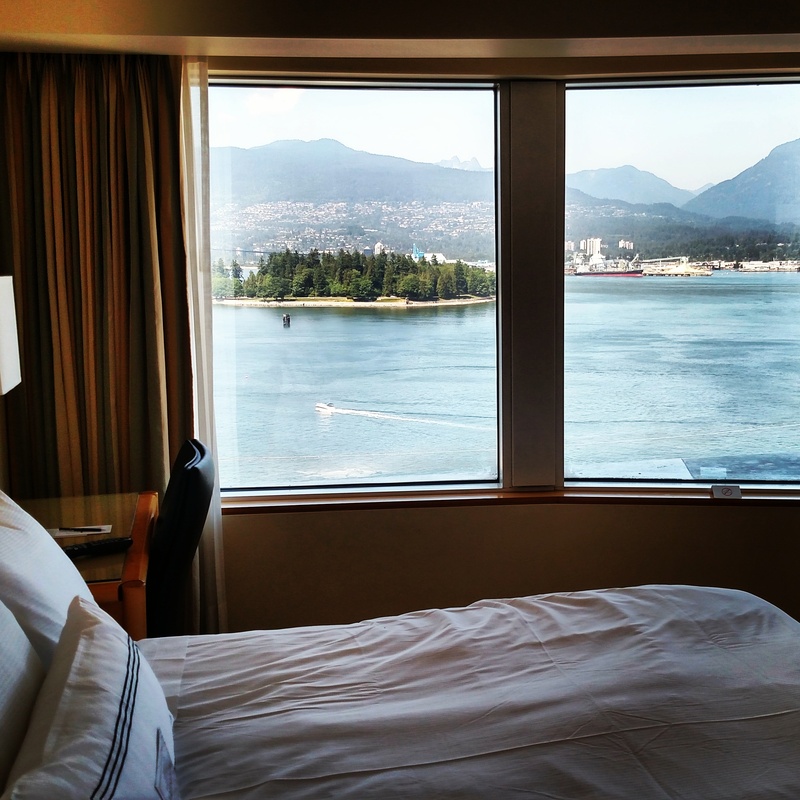 The rooms are comfortable and have views of the bay or the Vancouver city skyline. And its so easy to get to your ship! 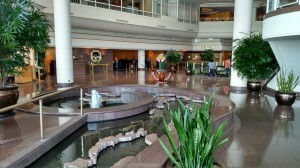 Just an elevator ride down to the terminal. 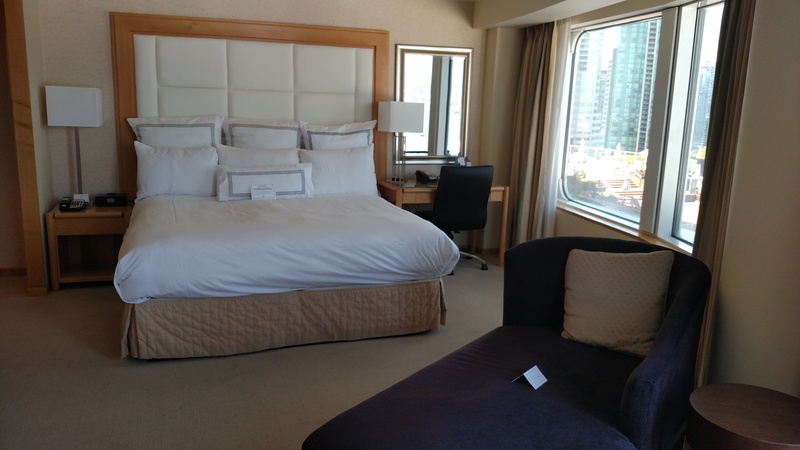 Here is a view of a ship docked from my room. 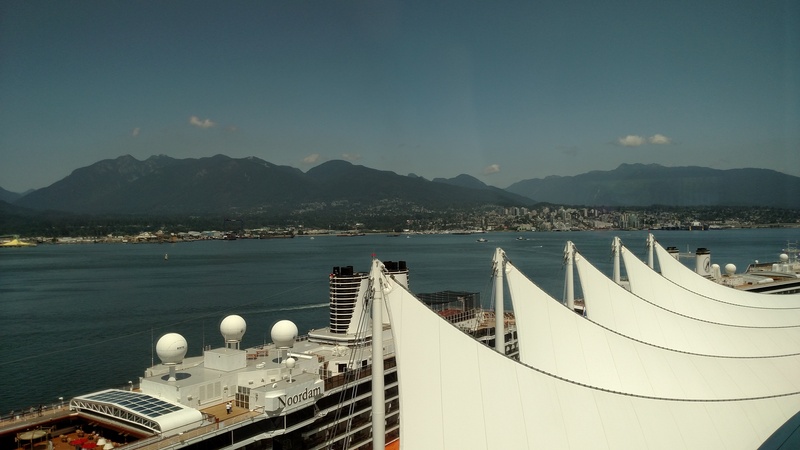 Vancouver BC …. 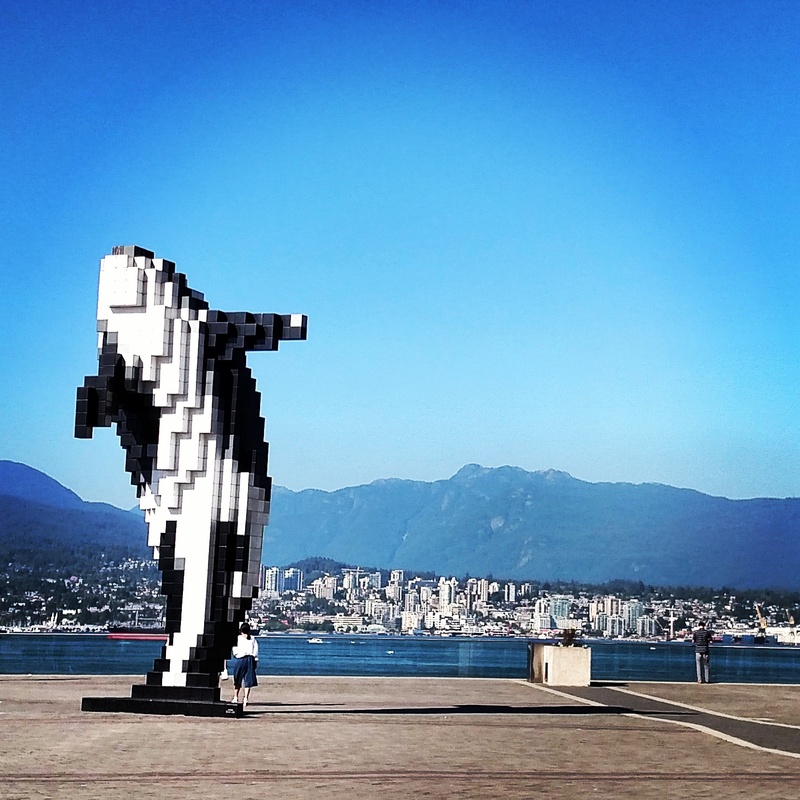 Such a Creative City!